These high flow, wet rotor pumps are durable, reliable and energy-efficient, using up to 60% less electricity than direct drive pumps. Their power and simplicity of operation make them the perfect choice for many water gardening applications especially waterfalls. Torpedo pumps are the first pumps of their kind engineered to be powerful, high-flow/low profile pumps that are lightweight, water cooled, and energy efficient. 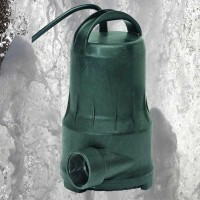 Their unique flow-through water jacketing uses no oils and allows the pumps to be used in or out of the water. The Torpedo pumps' durable, non-corrosive construction, ease of installation and use, and versatility make them the pump of choice for countless high-flow applications. 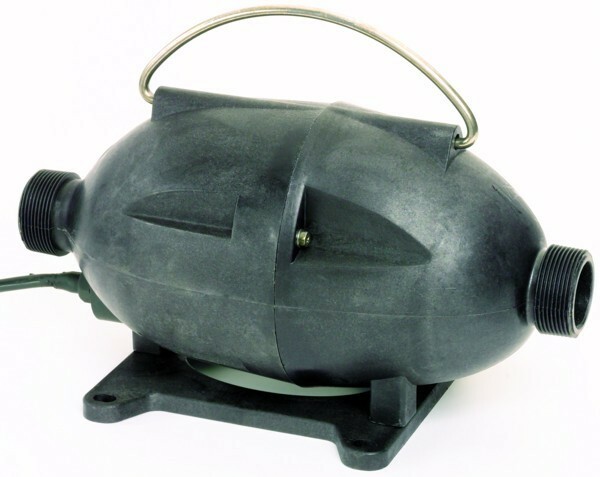 These pumps operate in fresh or salt water environments.